The most prominent scientific theory related to human evolution asserts that the human species (all modern humans inhabiting the planet) came from one line—A line that can all be traced back Africa. True, some ancient wanderers left Africa of their own volition a bit earlier than a majority of the population, creating new species of humans along the way (like the Neanderthals, Homo neanderthalensis, and the Denisovans, Denisova hominins). 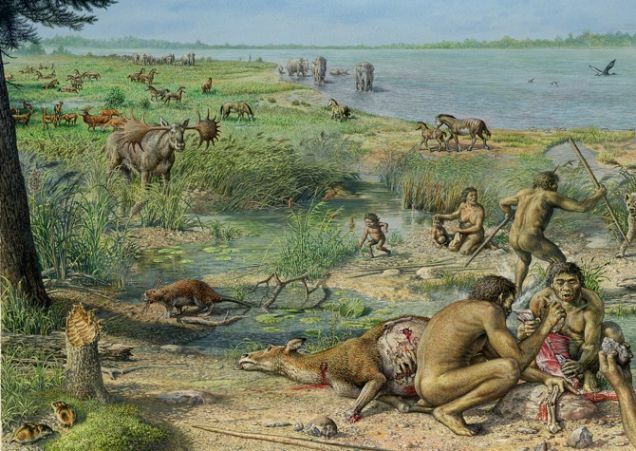 However, all of these lines eventually died out, leaving only one species—Us, modern humans. Yet, new evidence suggests that our predecessors may have wandered out of Africa much earlier than expected. 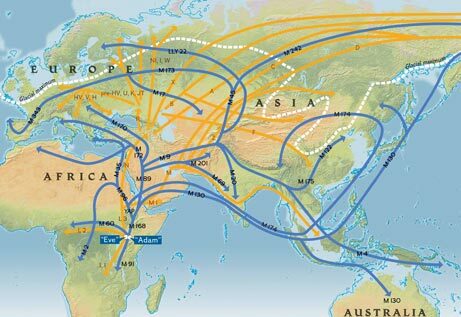 There are new fossil remains emerging from China and south-east Asia, that calls into question the widely accepted theory of when and how we left Africa. Indeed, these fossils are causing some scientists to question the validity of this “out of Africa” theory. The view that is widely accepted by scientists (and which is generally taught in schools around the globe) is the previously mentioned “Out of Africa” theory. It essentially states that Homo sapiens evolved in Africa some 200,000 years ago. They stayed there quite contentedly for some 140,000 years. Then, about 60,000 years ago, our ancestors got wanderer’s lust. So they struck out of Africa, and they conquered the globe. True, there are older hominin bones that can be found outside of Africa; however, as previously mentioned, they all lead to dead ends. Hence, our own species evolved solely in Africa. Yet, recent research seems to throw a bit of a wrench into this theory. Last month, Christopher Bae, of the University of Hawaii at Manoa, Wei Wang, of the Guangxi Museum of Nationalities in Nanning, China, and their colleagues described two teeth from the Luna cave in China’s Guangxi Zhuang region. These fossils date to somewhere between 70,000 and 125,000 years ago, which is a full 10,000 years earlier than when we were supposed to have left Africa. Consequently, Bae and Wang say that these fossils are evidence of an early wave of modern humans in eastern Asia. In short, some of our ancestors left Africa earlier than we currently believe. Based on the proportions of the teeth, the scientists assert that at least one of them must have belonged to an early Homo sapiens; however, further research (and more fossil evidence) will likely be needed to cement this point. Yet, there are other fossils that call the traditional story of our African exodus into question. There are several bones that were located in Israel (an upper jaw, for example) that could be as ancient as 150,000 years. And in China there is another jawbone and two molars from Zhirendong. Notably, scientists claim that, in this case, the shape of the chin is suggestive of modern humans. This evidence is causing some scientists to question whether or not there really was a mass migration 60,000 years ago. But even if these questions turn out to be unfounded, one thing is certain: As new evidence is acquired, our understanding of human expansion is becoming more and more complex. However, this jumbled mass of wandering and backtracking is a bit more on par with what we see in human migration today—It transpires in a series of fits and starts and crisscrossing paths. In short, the news findings suggest that we are a chaotic and messy people. What Are The Most Powerful Solar Flares In Recorded History?